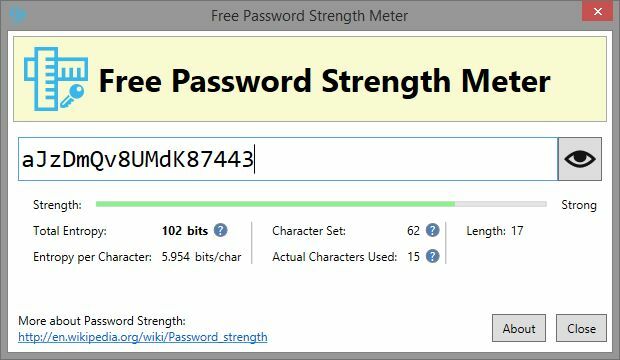 Free Password Strength Meter gives you a visual indication of how strong and secure your passwords really are. Password can be cracked using dictionary attacks and other brute force methods. Most people don't know this fact, and tend to use passwords that aren't strong enough and could eventually be broken through brute force. This tool couldn't be easier to use; simply enter a string of words, letters, symbols etc and you will see it determine how strong it is as a password.